Amit Bhatia is CEO of GSG since 2017, a global initiative promoting Impact Investments for sustainable social and environmental impact. Amit was Founding CEO of India’s Impact Investors Council (www.iiic.in) from 2014-16, when social impact investments grew from $400 million in 2013 to $1 billion in 2015. Amit is Founder of Aspire, the John P. McNulty Prize winning social enterprise in Education & Training (www.aspireindia.org). Since 2007, Aspire has trained over 65,000 students across 100+ institutions, 51 cities and 18 Indian states. He is also Founder of Aspire Circle (www.aspirecircle.org), which promotes social leadership in India through Fellowships and has created 150 eminent Fellows since 2014. Amit quit a successful corporate career in 2007 to serve the social sector. 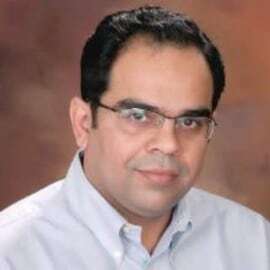 He was CEO of WNS Knowledge Services, India’s first outsourcing company to list on NYSE with a $1 billion IPO; Country Manager- India for FreeMarkets Inc., an online auction pioneer in B2B procurement; and most notably, Founder of McKinsey Knowledge Centre, the consulting firm’s global research centre. Amit completed Bachelor’s from Shri Ram College of Commerce; Master’s from Delhi School of Economics with a Gold Medal; Cost Accounting from ICMAI; and is a Fellow at The Aspen Institute and Aspire Circle.